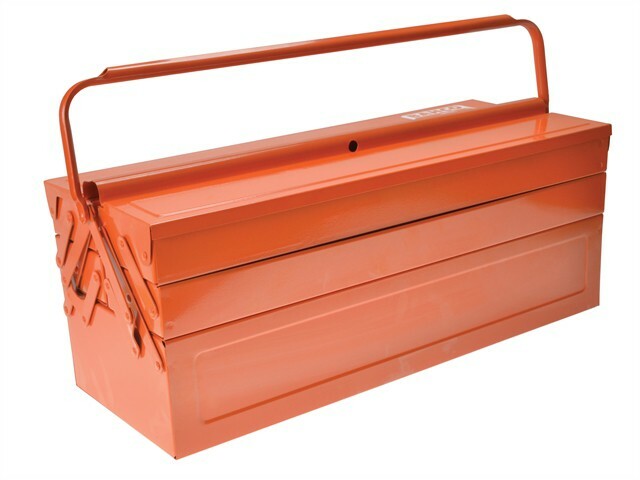 Bahco Cantilever toolsteel tool box with an orange hammertone baked enamel finish. By pulling the handle the box opens up easily and gives immediate access to all the tool compartments. The handle can be folded for compact storage. Size: 530 x 200 x 200mm.